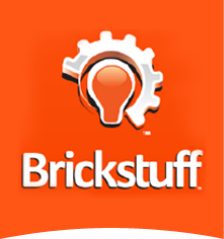 Holiday Shipping - Brickstuff-- Small Lights for Big Ideas! Every year, the mails slow down around the holidays. This is especially true with international mail. If you are placing an order with us and expect to have your package in time for the holidays, please keep the following deadlines in mind. USPS First Class and USPS Priority: Place orders by Wednesday, December 13, 2017 – Arrive by 12/22/2017 or sooner. USPS First Class Mail International: Place orders by Friday, November 24, 2017. Can take up to 30 days or more with worldwide delays and customs. Should arrive by 12/22/2017 or sooner, but this is not a trackable service and cannot be guaranteed to arrive by 12/22/2017. USPS Priority Mail International: Place orders by Friday, December 1, 2017. Can take up to 15 days or more with worldwide delays and customs. Should arrive by 12/22/2017 or sooner. If you are located outside the United States, remember: First Class mail is not trackable, so once we send your package we have no way of guaranteeing when it will arrive or even knowing exactly where it is once it leaves the USA. If in doubt, select Priority Mail shipping at checkout. Remember, any domestic order placed after December 13 and any international order placed after November 24 (First Class) or December 1 (Priority) cannot be guaranteed to arrive before the holidays. Please plan ahead and place your order early, and happy holidays!